HIT! 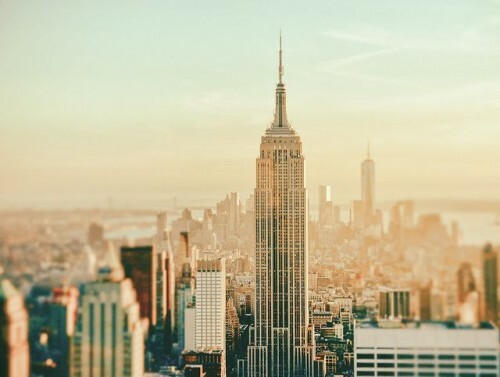 Super cheap flights to New York for only €200! UIA now offers crazy cheap flights to USA from Poland. Multicity tickets Warsaw – New York – Athens will cost you only €200! Regular price of tickets to New York is at least €500! Expect 1 stopover in Kiev. Travel dates include the whole year except of summer season. Ryanair has cheap flights from Athens to many destinations in Europe. Polskibus has cheap buses to Warsaw from many neighbouring countries. On most flights you need to sleep 1 night in Kiev on your way to New York which is a great chance to quickly visit this interesting city. 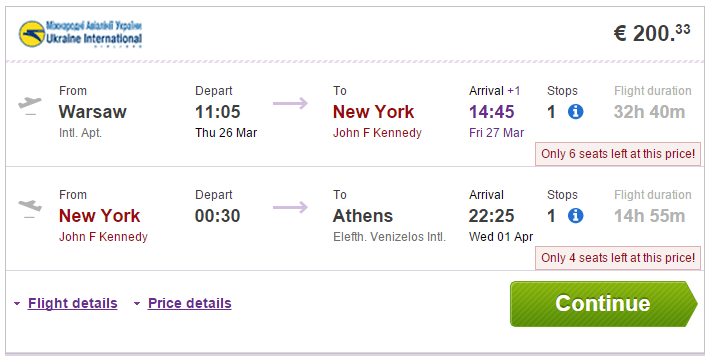 Book via Vayama to get this great price (click on Show extra search options to enter return to Athens). « Cheap flights to Canary Islands: Tenerife & Lanzarote from Germany for only €59!